Veronica Sherman left Australia to travel with her family and start a new life in Cambodia. But it turns out, the adventure started a new life for many others too. 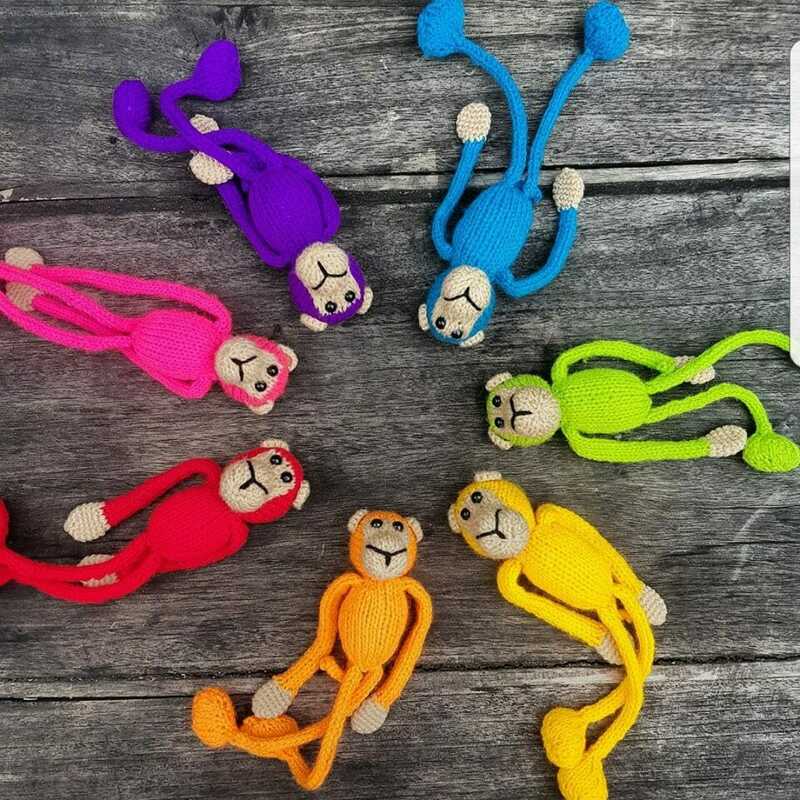 Veronica started a company selling magnetic monkeys hand sewn by Cambodian women. The funds made goes to support the women’s families and create scholarship funds for their children. Veronica Sherman with one of her hand-made monkeys. 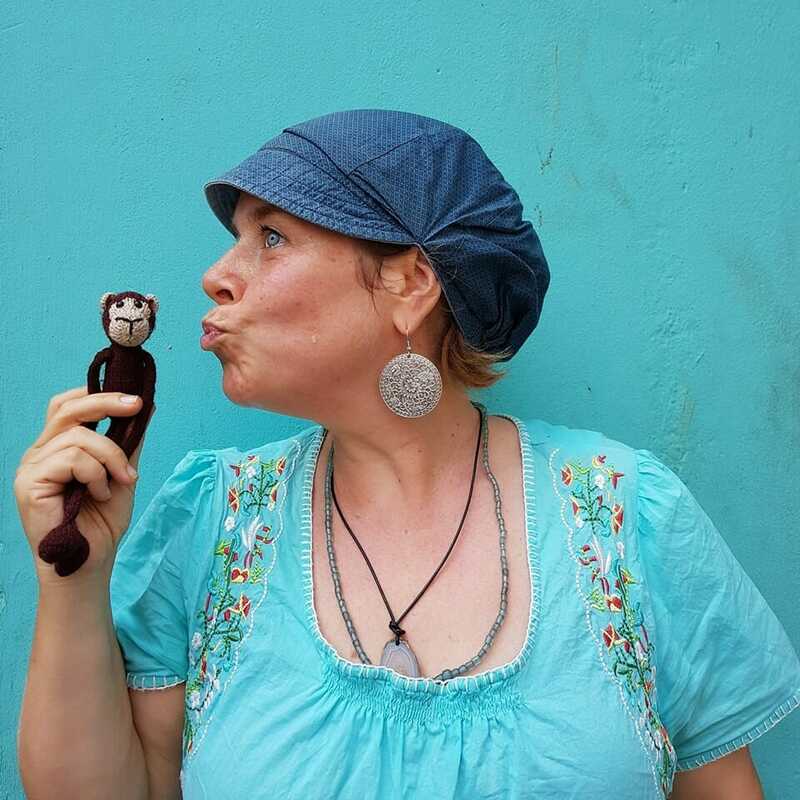 I would love to tell you about my gorgeous little magnetic monkeys that are now traveling around the world taking selfies and making new friends in all the exciting places they are visiting. Almost 10 years ago I moved from Australia to Cambodia with my husband and four children. We didn’t have any specific plans but figured that my husband would be snapped up by a volunteer agency who could use his engineering skills. Cambodia is an incredibly beautiful country with ancient temples, tropical islands and bustling markets to explore. It was so much fun to sit in the back of a tuk tuk and be driven around Phnom Penh instead of being stuck in traffic back home. We loved buying fresh coconuts from the side of the road and trying out the exotic looking fruit being sold off hand drawn carts. Leaving Australia had been easy. I couldn’t bare the thought of listening to one more friend talk about a kitchen extension or finding yet another library fine in my letterbox. As much as I loved being a mother to my four children there seemed to be so much more to experience in life and I craved meaning and adventure. Within 3 weeks of a friend suggesting we move to Cambodia we had packed up our belongings and said good bye to our life in Adelaide. 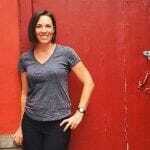 I had traveled with my children and I had been to developing countries before, but this was my first time as a mother in a country with so much poverty. There was something so confronting about making sure that my children’s needs were looked after while surrounded by families who were clearly so desperate for help. The moment that stands out the most in my mind was a hot afternoon when my kids were restless and I suggested we take a tuk tuk ride down to the riverside for an ice cream. As we all climbed back into the tuk tuk I noticed a young women next to us. She didn’t say anything but she was reaching out her hand wanting money. Her clothes were dirty and torn and in her arms was a tiny baby wrapped in filthy rags. She was a mother but didn’t look much older than 16. Her face was desperate and here I was with my four children eating ice creams. Everything in me wanted to give this young mother some money but I had seen so many signs and posters asking tourists not to hand out any money or food to beggars. I could rationally understand that it was better to give that money to organisations that were supporting marginalised people with long term solutions but right here and now my heart was breaking as we rode back to our hostel. The image of the young mother stayed with me and I was so desperate to somehow help out. I just had no idea how to do it. We eventually found moved to a tiny little village on the edge of a river in the south of Cambodia. While there I started a small sewing project in my home that gave jobs to some of the local women. I had no idea what I was doing but was so excited to finally be generating some money that I could use to support the many needs I was surrounded by and that would keep me awake at night. As word spread about my sewing project I kept hearing about a Canadian woman in Phnom Penh who was doing something similar as me but with training marginalised women how to knit and giving them flexible employment. I eventually managed to meet with Monika and instantly knew why everyone insisted that I contact her. She was clever and funny and incredibly spoke fluent Khmer. I loved what she was doing to improve the lives of the women in her community project and thought it would be great if we could somehow work together for a common cause. The women who knit the handmade monkeys. I have this strong belief that ethically made products need to be something that customers are immediately drawn to and fall in love with on their own merit, and the story behind the product is just the icing on the cake. I never wanted someone to buy one of my items because of pity or guilt. Now that I had met with Monika I was so motivated to come up with something that her knitters could make that people back in Australia would love. A couple of days later I was sitting in the back of the tuk tuk when the image of a little monkey jumped into my mind. I knew his cute little face would win hearts over, but there needed to be more to him than that. What if I gave him arms and legs and I could somehow have him attach to the fabric shopping bags the ladies in my sewing project were making? Only problem was that somehow the monkey had to stick to the bag. Magnets! I was so excited about my idea and instantly messaged Monika who insisted that it would be too hard to find magnets in Phnom Penh. I wasn’t going to let such a small detail stop my little monkey from coming to life and called out to Nara my tuk tuk driver to take me to the market to hunt down some magnets. Sure enough, Monika was right, it wasn’t easy finding magnets but thankfully Nara helped me search through the endless market stalls and eventually we found what we were looking for! These monkeys can change lives. It’s now been over 7 years since that first little monkey popped into my head in the back of a tuk tuk. In that time we have grown to over 120 women knitting. We are also so excited to have set up a scholarship fund so that their children can go to school. The monkeys are loved by people of all ages, and just as I had hoped, they are irresistible and the story is just a bonus. After seeing how popular the monkeys are as travel companions we decided to set up a page where monkey owners can post their photos of their monkeys traveling around the world. #globalmonkeytrails is steadily growing and by the end of the year we hope to have our monkeys visit over 100 countries! I never would have been able to predict where that decision to leave Adelaide would take me and my family all those years ago. It’s been a crazy adventure that I am grateful for despite a lot of challenges along the way. I am now living in Melbourne with my four children and lots and lots of monkeys and doing what I can to keep creating jobs for women in Cambodia.